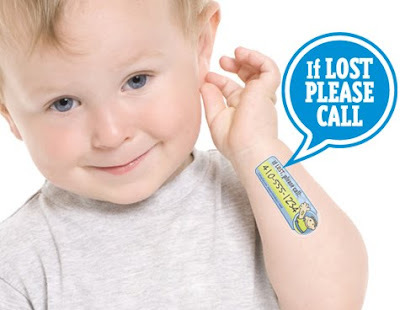 Here’s a product to make you feel better about that eventuality: SafetyTats are temporary child identification tattoos that when applied to a child’s arm provide an immediate and highly visible form of identification and contact should your child become lost. Unlike just writing your telephone number of your child’s arm, the temporary tattoo is waterproof. Daily advice link - Designer? We Are Hiring!